The annual Macrocyclic and Supramolecular Chemistry Group meeting organised by Prof. Jonathan W. Steed will take place next month. The Royal Society of Chemistry will have a booth so come and browse our newly published books in the Monographs is Supramolecular Chemistry series! MASC is a long running conference series that attracts prominent international speakers and provides an excellent forum for PhD students and postdocs to showcase their work. The group is chaired by Prof. Philip Gale and past group chairmen have included Prof. Thorfinnur Gunnlaugsson, Prof. Peter Tasker, Prof. Bob Hay, Prof. Martin Schroder, Prof. David Parker FRS and Prof. Paul Beer. More information and details about how to register can be found on the MASC website. The following books have been recently published in our Monographs in Supramolecular Chemistry series. You can purchase any of these books in the Royal Society of Chemistry bookshop or you can read the first chapter for free through your Personal RSC Publishing Account. Pillararenes are a new class of macrocyclic hosts, which have applications in sensing, material synthesis and biomedicine. This book covers all aspects of Pillararene synthesis, their host-guest properties and supramolecular assemblies. This book is edited by the leader in this field and will appeal to graduate students and academics alike. Polyrotaxane is a necklace-like supramolecule in which many cyclic molecules can be threaded and cross-linked together to form functional polymeric materials. The resulting movable cross-linked structure yields unique properties with potential applications in new films, elastomers and coatings. This book, authored by the inventor of slide-ring materials, provides a comprehensive guide to slide-ring synthesis, functionality, analysis and application. Synthetic receptor molecules mimic antibody recognition and are widely used in sensing and drug development. This book covers the most effective synthetic receptors for each major class of biomolecules. The book is written in an accessible style making it appeal to those new to supramolecular chemistry as well as those looking for information on specific synthetic receptors. 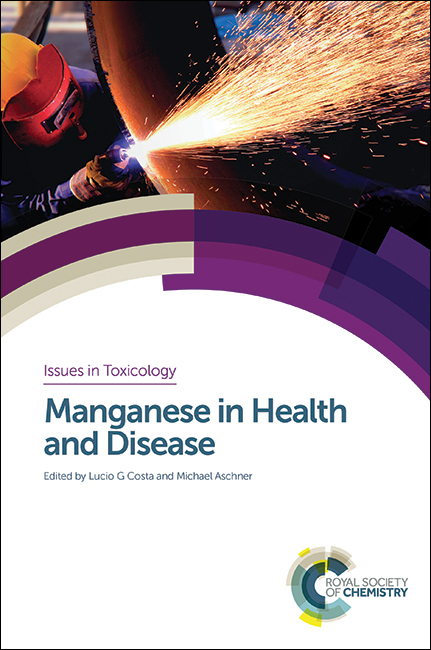 This book provides a comprehensive overview of recent developments in the field of boronic acid-based receptors. The synthesis and self assembly of these receptors are covered in detail together with the applications of boron in chemical molecular sensors. Containing contributions from leading research groups in this field, this book will appeal to researchers of all levels in organic chemistry, supramolecular chemistry, materials science and bio-organic chemistry. Porous materials with very large internal surface areas are of great interest for applications in energy storage and environmental remediation. This book describes the significant recent progress in the development of different porous frameworks, with particular focus on the relationship between structure design, synthesis methods and properties. The book provides a comprehensive overview of different porous polymer systems, which will be of interest researchers and graduate students alike. The biennial international conference “Materials Science Engineering (MSE 2014)” organised by the Deutsche Gesellschaft für Materialkunde will take place in Darmstadt from 23 – 25 September 2014. Symposium topics include Functional Materials and Devices, Structural Materials, Synthesis and Processing, Characterisation, Modelling and Simulation, and Biomaterials. The programme includes talks from Prof. Martin Winterkorn, Chairman of the Volkswagen AG, the MRS President Oliver Kraft, Karlsruhe Institute of Technology (KIT), Prof. Dr. Peter J. Uggowitzer (ETH Zurich) and M.A. Meyers of the University of California, San Diego (USA). One of the highlights will be the Colloquium in Honour of Prof. Ludwig Schultz. For further details and to register please visit the conference website. To celebrate the 2014 IUPAC World Polymer Congress (MACRO 2014), 6-11 July, Chiang Mai, Thailand, here is a highlight of our recent polymer books. Covering key themes in polymer chemistry research, this is a must-have collection for graduate-level students and above. Leading experts from across the globe have contributed to each book in this series, while Ben Zhong Tang leads a world-class Series Editorial Board. All the RSC Polymer Chemistry Series books are available as eBooks through the RSC eBook Collection. A comprehensive resource of books covering key topics in nanoscience including the characterisation, performance and properties of nanostructured materials and technologies and their applications. All the RSC Nanoscience & Nanotechnology Series books are available as eBooks through the RSC eBook Collection. 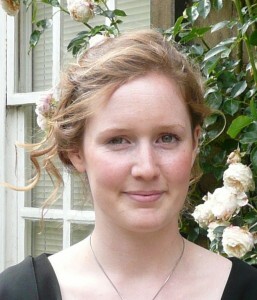 Commissioning Editor Leanne Marle will also be attending if you would like to meet her and find out more about book publishing at the Royal Society of Chemistry please contact her. The Analytical Research Forum 2014 is a high impact scientific meeting for the UK analytical community, and would be of interest to people at various stages of their research careers. The Royal Society of Chemistry has assembled keynote and invited speakers, along with early-stage researchers, to present during this day long conference. There is a dedicated section for analytical titles on the RSC Online Bookshop, with publications including Quantitative Proteomics, Advances in Biological Solid-State NMR, and Microfluidics in Detection Science. The Royal Society of Chemistry also publishes Specialist Periodical Reports on an annual or biennial basis, providing systematic and detailed review coverage of recent developments in major areas of chemical research. The Analytical Research Forum is taking place at The Chemistry Centre on Monday 7 July at Burlington House, London. Registration is open until June 30, and for further information on the Analytical Research Forum you can contact the RSC Events Team. 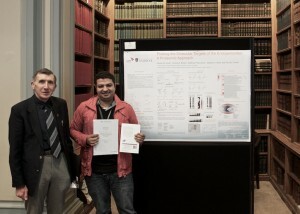 The recent Royal Society of Chemistry Biological & Medicinal Chemistry Sector Meeting on new perspectives in DMPK was held at The Chemistry Centre, Burlington House, in London. 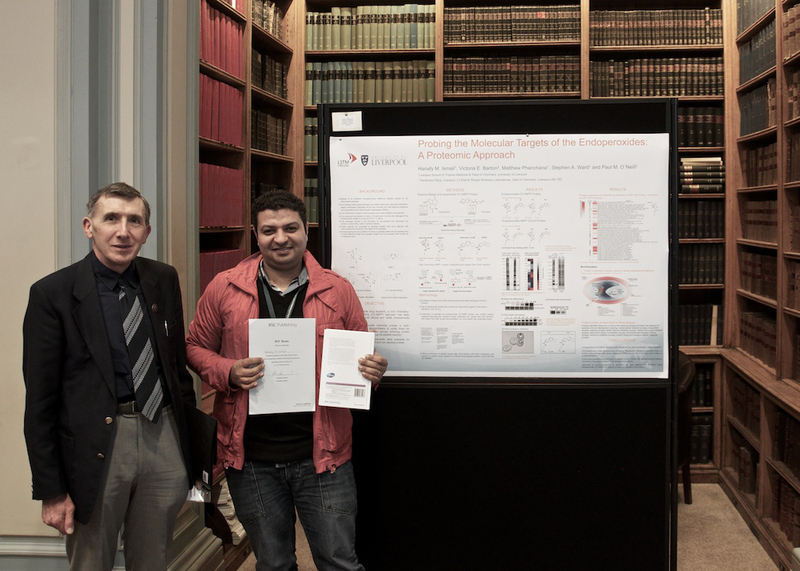 Hanafy Ismail, University of Liverpool, was awarded the prize for the best flash presentation and poster, which was entitled ‘Probing Molecular Targets of the Endoperoxides: A Proteomic Approach’. Hanafy was awarded with a book from the RSC Drug Discovery Series, Metabolism, Pharmacokinetics and Toxicity of Functional Groups: Impact of Chemical Building Blocks on ADMET, Edited by Dennis A Smith. The RSC are exhibiting at this year’s SOT Annual Meeting and ToxExpo in Pheonix later this month, and there will be a range of books and journals on display at our stand. I will be at Exhibition Booth #1540 during the ToxExpo with Marie Cote, Deputy Editor of Toxicology Research. Email me if you are attending and would like to arrange a meeting. I would be delighted to meet you! You can find all of our recently published books on our website, and you can access the front matter, table of contents and the first chapter of all the books in our Book Series for free. I look forward to meeting you this March!